Put this Homemade Easy Pecan Butter on EVERYTHING. It takes only 10 minutes and 4 ingredients from prep to finish and is made with all natural ingredients! Let me tell you how my brain works when it comes to creating ideas for the blog. I have one main planner (Emily Ley), a white board, about 4 notepads, three adorable tiny idea notebooks (Kate Spade) and 1,256 iPhone notes. Yes, that’s the real number. The funny thing is I’m a really organised person, but my idea process is kind of insane. Fortunately, that’s exactly how the idea for this pecan butter was born. And boy, I’m SO glad it was. Get ready to put this on every. single. thing. For all my high school to uni to law school life, my friends have always thought of me as the organised one. Which is true: I’ve always had a planner since I was a kid (wasn’t I fun), I always planned every last detail, and I actually adore making lists. Like, on my resume for hobbies I should just add “enjoys swimming, cooking and making lists”. I tried for a long time to tame my creative, Pisces, flower child side into one planner until I realised it just wasn’t going to happen. Now I allow myself to write jottings everywhere (cue 1,256 notes) from normal food ideas (yummy enchiladas because I made tacos and wanted to smother than in sauce) to the pretty crazy but ones I’m dying to do (prepare an entire Thanksgiving spread two weeks before thanksgiving just for the pictures and so I can do a guide for you all). Then I basically made pecan butter the next night. I’ve made almond butter many times and knew that toasting any nut makes it fragrant and warms up the nut, so that was definitely happening. What I didn’t realise was that it actually cuts the nut butter making time in HALF. Almond butter usually takes me about 7 to 8 minutes, but when these pecans are toasted and warm, it only took two minutes. Two minutes later, LIQUID GOLD. Like seriously, that was the only terminology I could logically think of while staring at the beauty in front it. This pecan butter is worth it in every single way. It’s so, SO easy to make and I’m kind of obsessed with how delicious it is. I’ve been putting it in my oatmeal, on toast, in my hand and pretty much everything possible. Now I want to make flourless pecan butter cookies which was my first thought after tasting these. 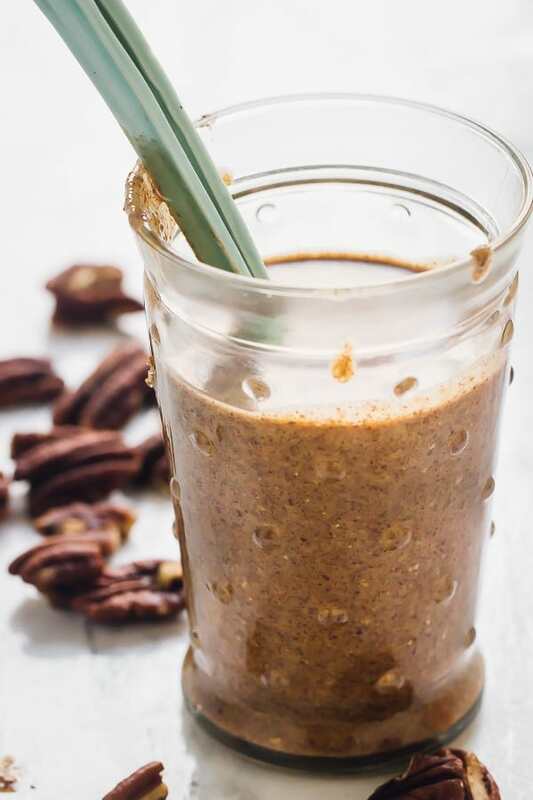 I love that it’s just pecans, coconut sugar, cinnamon and salt. You could even use pumpkin spice instead of cinnamon if you wanted to, or half and half. Go wild, go crazy. Add cocoa powder if your heart desires. I’m so doing that next time. 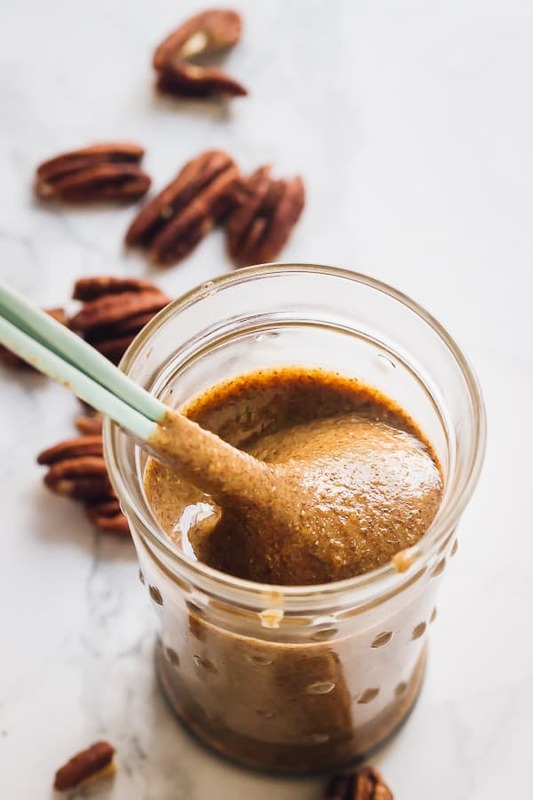 If you try this Homemade Easy 10-Minute Pecan Butter please let me know in the comment section below, or tag me on instagram with the hashtag #jessicainthekitchen! For more exclusive recipes follow me on Instagram AND on Snapchat: jessinkitchen. 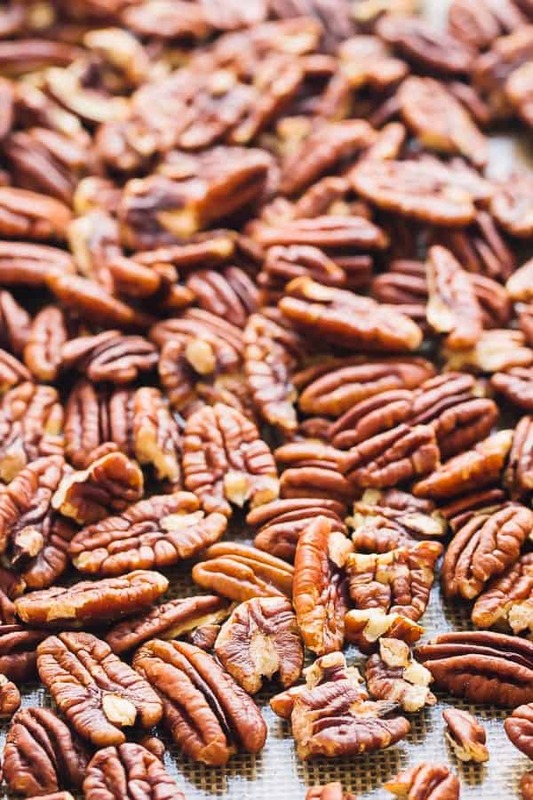 Remove the pecans and add to a food processor with all the other ingredients. Pulse on low or high until combined into a nut butter. My food processor is brand new and take only two minutes, but just keep it running until it is smooth. 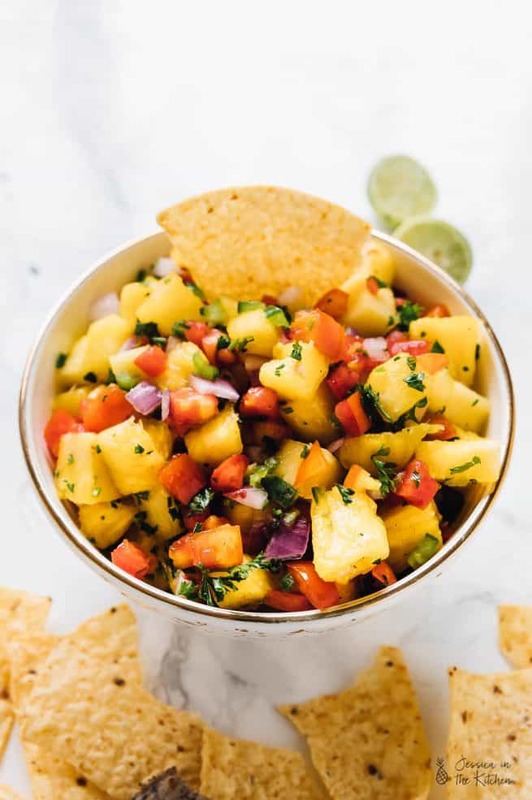 Your food processor may get a bit warm depending on how long it takes, so just turn it off for about a minute to prevent overheating if this happens. You may also need to stir everything together. When liquified into pecan butter, scrape into a jar with a cover and place in the fridge. 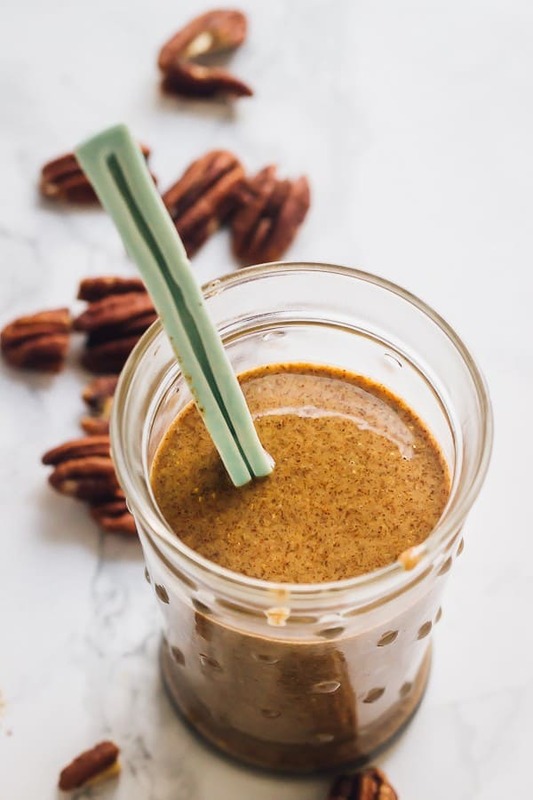 You can use this pecan butter anywhere you'd use peanut or almond butter, or to top your favourite oatmeal, cupcakes, cookies, anything! 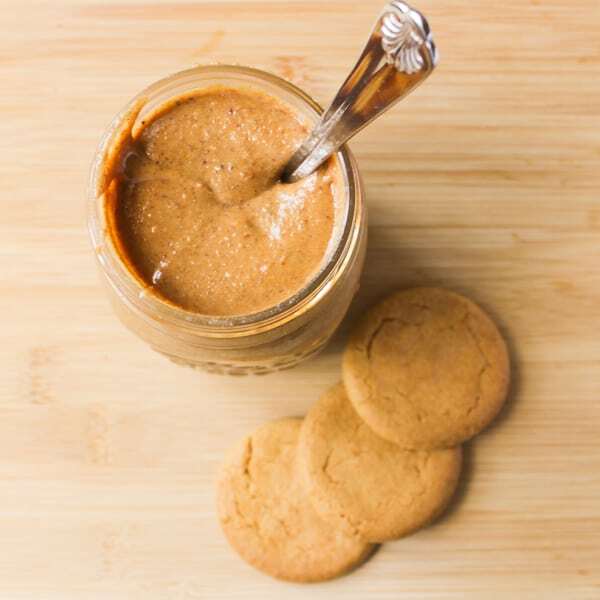 NUT BUTTER MAKING TIPS – Toasting the nuts helps to release the natural oils in them and helps with the blending process. You could also toast these in a pan over medium high heat until fragrant. – A good quality food processor will go a long way with these. If you have an old food processor, ensure that you don’t let it overheat. If it begins to overheat, turn it off for a little, stir everything together, and turn it back on again. It can take up to 8 minutes. 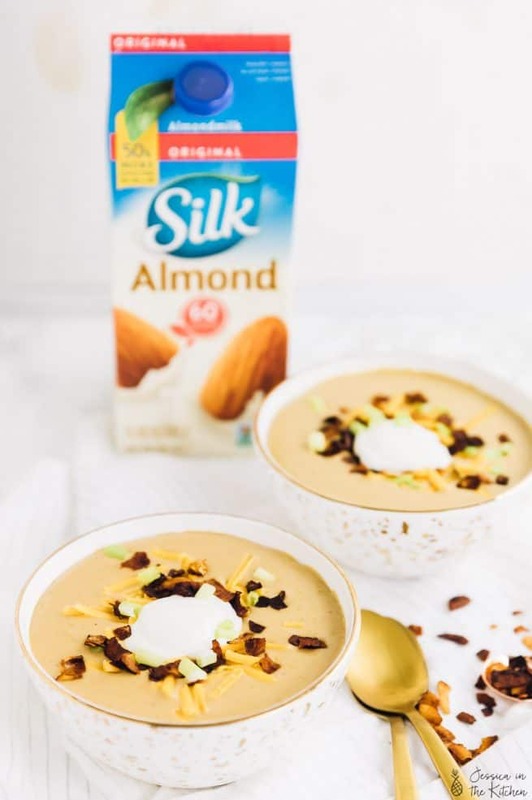 – You can add it any additional flavourings if you want: pumpkin spice, nutmeg, more cinnamon. – You can use any kind of sugar I just prefer to keep it refined sugar free. You can use unrefined brown sugar or sucanat if you don’t have coconut or cane sugar. – I prefer to use a solid sweetener instead of a liquid sweetener because maple syrup or agave nectar actually will thicken this up a bit. If you want a thicker nut butter, feel free to use that instead. – Nut Butters will last in your fridge for several weeks, but if you’re like me it won’t last that long anyway. ? YUUUUUM! I so need pecan butter in my life! Nice job on the video Jessica! It looks amazing!! Thanks so much Angie! Yes mine broke why I got a new one haha, so hopefully Christmas!! Walnut butter sounds AMAZING!! I want to put this on ALL THE THINGS! Love it. I love the touch of cinnamon! What a terrific recipe!! This is a great idea! I’ve got it bookmarked to make this weekend. And I hear you on the analytical + planning freak versus being a little “fishie” (talk about opposites in one body ? ). Haha yes! Definitely a “fishie!”. Thanks so much and I hope you enjoy!! I’m making some of this today! I also love the music you selected for the video! This looks absolutely divine! My whole family is into nut butters, would love to try this at home. I haven’t tried it so I can’t be sure but you should be able to! I would still toast it to get the oil flowing and try it out. Let me know how it turns out! Thanks! My daughter grows pecans. I make MANY pecan treats. Would suggest using broken pieces for pecan butter. Also, I’m making some today – going to try honey instead of sugar. What you think ? Hi Dee, that’s so cool! You can definitely use broken pieces. I wouldn’t necessary recommend honey because it can get very thick when it gets too hot. I hope that helps! This is EXCELLENT! We tried it on oven-roasted pears for a dinner party dessert with a small scoop of cinnamon ice cream, although other flavors would be fine. Oh that sounds so divine – I need to try that!! Thanks Jackie! !